Here at Power Ranch Dental we offer all of our patients FREE bleaching for life. Take home bleaching trays is one of the most popular ways to whiten your teeth. 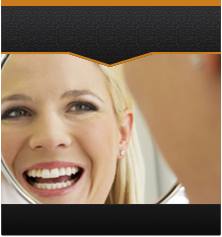 Before we take impressions for you, we like to evaluate your teeth and make sure you have no tooth decay. Whitening your teeth while you have tooth decay could cause major pain and sensitivity. Once cleared by our doctors and impressions are taken you are ready to start the bleaching process in the comfort of your own home! After your recall visits at Power Ranch Dental you will receive a new tube of whitening so you can keep your smile bright all year round. Give our office a call at (480) 988- 2282 to discuss our treatment options for teeth whitening!